One day while on a date with his girlfriend, he encounters two suspicious men dressed in black. His natural instinct and intuition leads him to believe that these men may be associated with some kind of criminal activity, so he follows one of them. Just as he becomes a witness to a crime being committed by this man, he is knocked unconscious by the mans accomplice and is forced to drink a mysterious liquid. When he next wakes up, he finds he has reverted back to being a small child. Dazed, confused and not knowing who to turn to, Shinichi heads for home where he comes across his neighbor and a scientist, Dr. Agasa. After some intensive convincing, Dr. Agasa finally believes that this little boy is in fact Shinichi. As the mysterious liquid appears to be some kind of a new invention, there is no way to turn Shinichi back to his formal self until the ingredients of this liquid are discovered. Therefore, to keep Shinichi away from any more trouble, Dr. Agasa advises him to hide his true identity and stay at his girlfriend’s house whose father, Kogoro Mouri, operates a detective agency. It is from here that Shinichi will be able to obtain the information about the men in black who poisoned him, and the evil organization behind them. As he must remain incognito, Shinichi now must assume a new identity and is henceforth known as Conan Edogawa and as such, the distinguished Detective Conan is born. 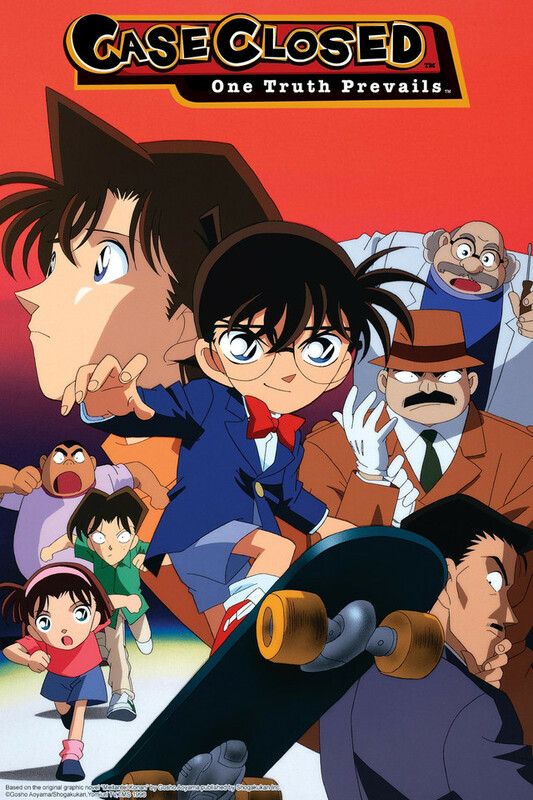 With the brains of a genius detective and the looks and strength of an elementary school student, Detective Conan proceeds to solve crimes for Kogoro and Inspector Megure using his inborn talents as well as secret weapons created by Dr. Agasa all the while without letting them know he is the one solving these mysteries. Will Detective Conan be able to find the men in black so that he can return to his true and former self? Join Detective Conan in his adventures to solve the greatest mystery of all time.